Transferable M60 machine gun. Currently on a Form 4 in Texas. Manufactured by John Stemple. This M60 is not a reweld. Gun has run flawlessly since I have owned it. Does show use. 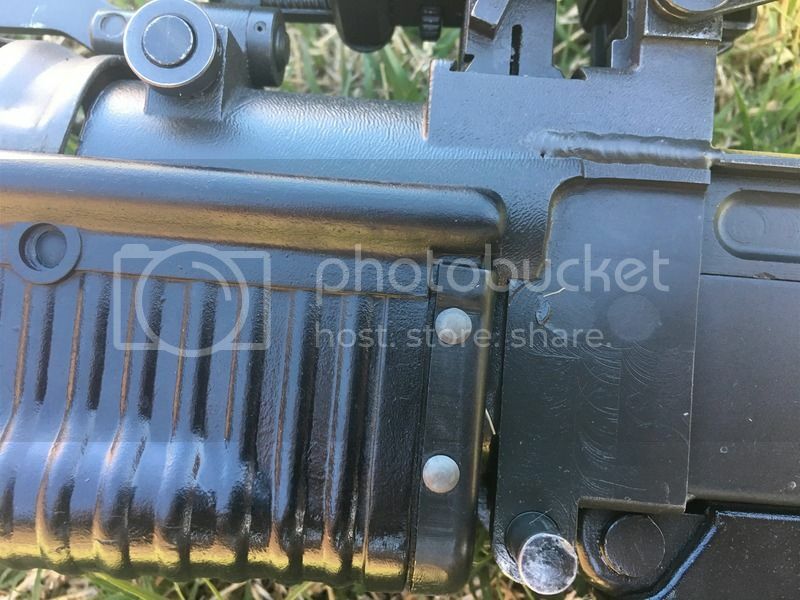 Charging handle slot does have wear and could possibly have a bend; charging handle could tend to hang up charging the gun in a hurry. Also a small nick on inside of receiver, but has never interfered with operation of the gun. Barrels fit tight in trunnion with no play. Also numerous other items available to buyer to be purchased separately such as m142 cradle, barrels, bolts, stocks, links, ammo, and many other items. All sales are final. The photos are all the same ?? any better? View of top of trunnion? Only photo I have at this time. Tried e-mail you couple days ago and did not get a reply. Please link videos and picture of the gun firing. Also picture of the top cover with caliber and manufacture. Also please let me know if serial number is below 299. Thank you. Is this already sold??? Please PM me.